In the beginning I would recommend people not to open a software and start learning guitar from it . To my knowledge no software can teach you guitar from scratch and if you try doing so you would get fed up in few weeks if not days and loose interest. Every thing we learn has a procedure and so we must follow one to be a good guitarist. You must have at-least some knowledge of music or some basic understanding before starting guitar on your own or I would recommend a small amount of professional help on how the hold and place the fingers and also how to move the fingers on the fret board and also learn to play using fingers and plectrum. There are many methods of playing a Guitar. Spanish guitar is played preferably using fingers and styles involve plucking and strumming and also muting in the fret board. Electric guitar which everyone must have seen or heard in rock concerts or songs has a magnetic pickup attached to it which gives the output to the amplifiers or processors and the style of playing involves hammering, pulling, vibrato, tremolo, fret board plucking ( though they could be done in Spanish guitars also but more audible in electric guitars) and also using processors to add distortion to the sound and also shaking or moving the guitars in front of amplifiers to produce feedback effects . The third form is the Hawaii Guitar which uses metallic bar to hold notes in the fret board and is played using metallic nails and the styles to my knowledge involves playing classical music with sounds staying for longer periods. 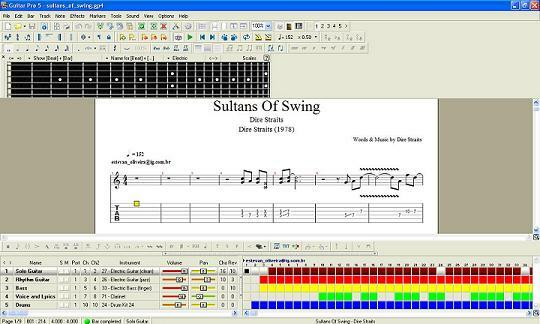 Once learnt the basics of Guitar one can then use excellent software named GUITAR PRO. This software helps to amateur guitarists to pick up some difficult songs like presently I am using it to learn Sultans of Swing by Dire Straits (every guitarists dream song). Now if one is good enough and is able to pick up the songs by themselves then Guitar Pro will be a blessing in disguise for them too. Usually bands like Dire Straits or Eagles and many others use many harmonics of the notes along with the note they are in, which makes it very difficult to catch the actual and correct note perfectly. So Guitar Pro helps the individual to play the right notes and it also gives directions on how to hold the fret board and one can slow down the pace of the song for better understanding. One can also learn to play Violin, Piano, Mouth Organ and many more from this software. Basically the files are in gp3,gp4 or gp5 format and are provided by many web sites. 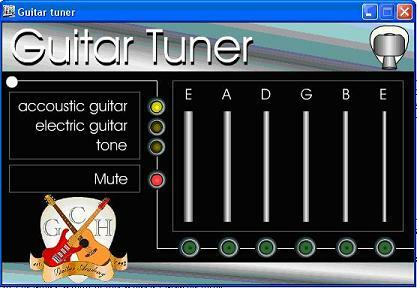 Guitar Pro also provides options for tuning the guitar. One can also use a software named GUITAR TUNER for the same. 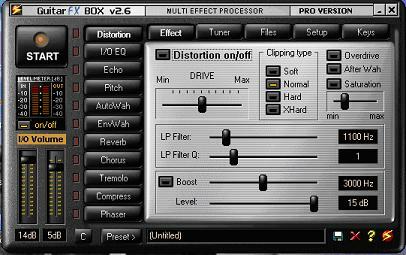 For adding distortion to the guitar sound, one can use software named GUITAR FX BOX. This software has the options of adding to the sound the following effects general distortion, echo, pitch variation, wah-wah effect, reverberation, chorus, tremolo etc. What these effects are and how they function, I will write in my next blog. But still I would recommend use digital distortion processors then this software, the reason being that it is real time processing of guitar sound and this requires processors to be very fast or one will get delay which is not what a guitarist likes. Actually I think that slowing down the song and trying to play it is a good option, I never tried this out and am definitely willing to try this out. Actually the software is not free and I have not come up with any alternatives for this software which is free, there are few other softwares that I have heard of but cannot comment on them as I have not used them. Though digital distortion processors are costly they cannot be replaced by a software, the reason being the impedance matching that is necessary for a good guitar sound. A good processor should have high input impedance and low output impedance. The input impedance should match the impedance of the guitar, then only one can hear a original guitar sound. This impedance matching is provided by the distortion processors. But in case of the software this is not possible and in this case a good guitar and a bad one will almost sound the same. Also as processor does scheduling all the time, the effects produced have undesirable changes which sounds like noise, and I have also experienced that some sound cards also reject the guitar frequency. A distortion paddle needs a dedicated processor so that clock pulses for the digital processing does not change all the time. I tried making one using the Altera Nios2 processor and work is still being going on in DAIICT. Presently I am making a guitar amplifier and In this impedance matching is a major issue. Also the circuit has a sound equalizer plate too which adds quality to guitar sound. These things are not available when one works with softwares. I tend to disagree. While sitting in front of your computer and have it teach you chords, etc. can be useless and boring. There are programs out there that are actually quite good. One instance would be software that allows you to take your mp3s or videos and slow them down and loop sections. I didn’t want to pay 50$ for a program like that, so I created one and put it up for everyone else for free. The next feature I’m trying to add is the ability to download videos from youtube, so that the user will have over 185K lessons to choose from. Learning by copying is the ultimate way to develop an ear, which is what most beginners need to work on most. I’m not sure if you’re allowed to post a link here, but the site is http://www.rewindrewind.com for anyone that’s interested in this free tool. Just wondering is guitar pro free? open source?any alternatives? I’m also not a big fan of digital distortion processors, one, they cost a lot and two, in real time they too suffer from inherent delays. A 2 gig processor would do just fine I think for distortion using FX box. Of course you need a good sound system to feel it.